Toronto International Film Festival is kind of a big deal. It is one of the biggest cinema festivals in the world, and screening there gives a film considerable prestige. This year's festival will take place September 7- 17 and the first slate of screenings has now been revealed. 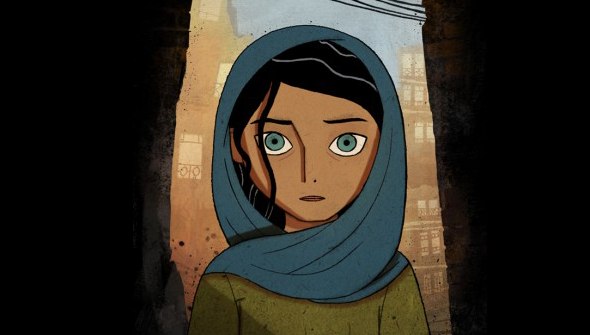 This year's festival will host the world premiere of the eagerly anticipated new film from Cartoon Saloon and director Nora Twomey, The Breadwinner. It's Cartoon Saloon's third feature, and Twomey's second, having previously co-directed The Secret Of Kells with Tomm Moore. Adapted from the novel from Canadian author Deborah Ellis, the film follows the struggles of a young girl in Taliban controlled Afghanistan. When her father is imprisoned, she has no choice but to disguise herself as a boy in order to work and support her family. The screenplay was adapted by Ellis herself alongside Anita Doron, and Angelina Jolie came on board as a producer. The film is co-produced by Canada's Aircraft Pictures and Luxembourg's Melusine Productions, alongside Jolie's production company and GKIDS Films. "On behalf of the entire cast and crew of The Breadwinner, I am absolutely delighted that the film will premiere at TIFF," Twomey said. "Toronto is home to so many of our talented team and is where the idea to adapt the book was first formed. This will complete a full circle for The Breadwinner film and I hope audiences enjoy it as much as we've enjoyed making it." The time and date of the screening will be revealed next month. The Breadwinner will be released in the US later this year via GKIDS Films and will premiere in the UK and Ireland in early 2018 via Studio Canal.